Universal cellphone charger plan from EU could improve life for all. The bird’s nest of cables you have hidden in a drawer could be completely eliminated. Does anyone have a cellphone charger? For an iPhone? No, for an older iPhone? These tedious conversations could become a relic of our technological past, if an EU plan comes to fruition. Members of the European Parliament are working to establish guidelines for a universal mobile phone charger, and also develop broader standards for “radio equipment.” If this initiative passes, it will be interesting to see how easy and worthwhile it is in practice for manufacturers to comply, because if the legislation proves to have benefits it could be used as a model in the U.S. and elsewhere. The draft Radio Equipment Directive tries to set regulations to coordinate devices like cellphones, routers, and even remote door openers on the radio spectrum. This isn’t just about making it easier for neighbors to borrow a charger, though. The broad goal of the directive is to create guidelines for manufacturing and reduce interference so that more radio equipment can “interoperate.” For the common charger, the proposal suggests using Micro USB, though after a public comment period, the MEPs did acknowledge that differences in things like voltage requirements might create obstacles. The draft was approved 550 to 12, with eight abstentions, and has already been informally approved by the Council of Ministers, which is expected to formally approve it soon. 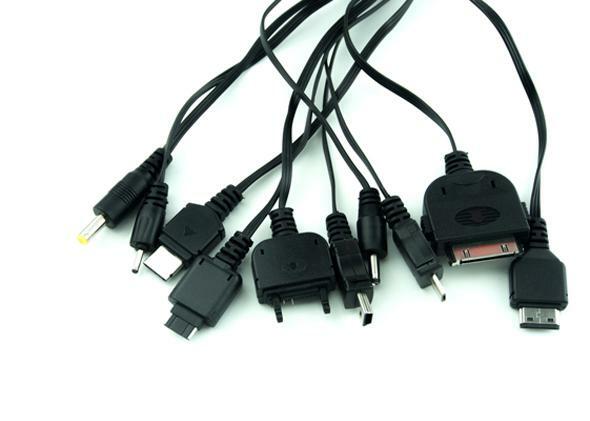 Adopting a common charger “serves the interests both of consumers and the environment. It will put an end to charger clutter and 51,000 tonnes of electronic waste annually,” rapporteur Barbara Weiler said in a press release. The statement also notes that the European Commission will decide which specific devices have to meet the requirement. Wired UK predicts that the universal charger could be a requirement for selling mobile phones in the EU as early as 2016. Other movements to create universal chargers, which have often involved European Parliament, have faced challenges from companies like Apple that have invested heavily in proprietary charging methods. But here’s hoping it happens this time.